Taking inspiration from the Soviet propaganda of the early Twentieth Century, the Welder is our mascot. Our nod towards branding. 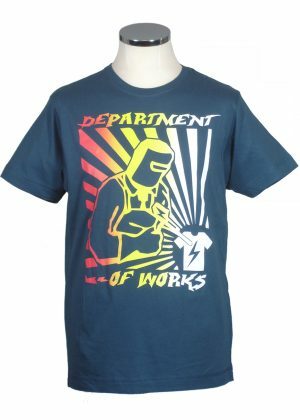 Our emblem of the hand forged t shirt. Four colour fade hand pulled silkscreen print. 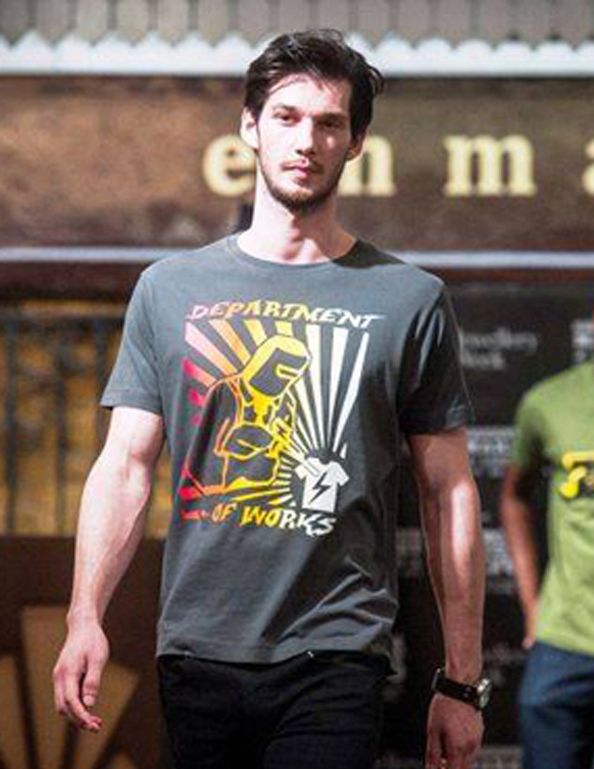 We are so pleased that the Dept of Works team involves the best screen printers in the business. Dan and Jim are magic makers! Machine wash, just don’t iron the print. Fair Wear ethically produced super soft super comfy 100% cotton t shirt. This really is your future favourite shirt.